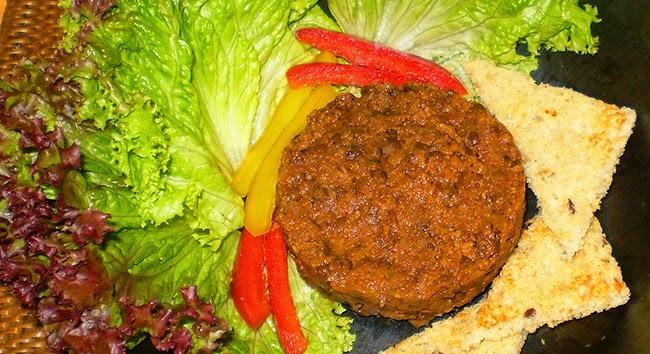 Here I introduce a vegetarian recipe which I have more or less created myself. I write more or less because it is inspired by the vegetarian sandwich spreads which you find in health food stores all over the world. I have taken the flavours of the Greek lentil soup which I adore. This soup is dominated by tomatoes, garlic and oregano. Instead of making a soup however, I add just enough liquid to obtain a cream. You can serve this cream as a snack with crackers or bread. I like to stir in some red wine vinegar which adds a bit of tang. You can use the cream also to make healthy sandwiches, for example for your kids’ tiffin boxes. It is great topped with any kind of cheese. Lentils not only offer a wealth of nutrition, they also taste wonderfully rich and earthy. 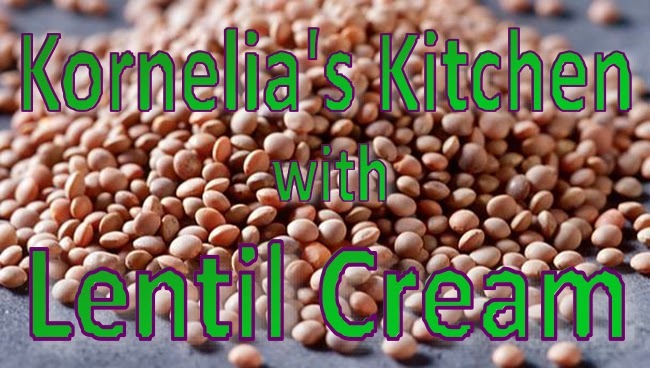 Unlike other legumes lentils don’t need to be soaked overnight. You can use any type of lentils you like. I prefer brown masoor dal for this recipe because it has a round, earthy flavour. Wash the lentils and place them into a pressure cooker. You can prepare the lentil cream in a normal pot as well; it just takes a lot longer to cook. Peel the carrots, the beetroot the onions and the garlic and grate them. Add the vegetables to the lentils in the pot. Pour in the tomato puree, 2 tablespoons of olive oil and 750 ml water into the pot and mix everything well. Add salt and pepper, the bay leaves and the oregano. Close the pressure cooker, switch on the flame and boil the lentil cream for half an hour after the first whistle. In a normal pot you have to cook the lentils for at least one hour, stirring occasionally. The lentils should melt in your mouth. You might have to add some extra water also, but not much. At the end of the cooking time you should have a thick cream, not a soup. When the lentils are cooked, open the pressure cooker. If there is any water left, you have to boil it some more minutes. Stir in 3 tablespoons of olive oil and taste the cream. You might have to add some more salt and pepper. Take out the bay leaves and store the cream in airtight containers. You can keep it in the fridge for at least one week.